ACS has a long history in the the ambulatory cardiac monitoring business dating back to their inception in 1981. ACS has a reputation for providing high quality, reliable instrumentation backed by the best support in the Cardiac Monitoring space. Further, ACS is known for providing their customers with a unique blend of useful technology at a fraction of the cost. ACS has offered several decades of ambulatory cardiac monitoring products with their newest device called the Performer Plus™. ACS is marketing the Performer Plus as a device that integrates 3 billable studies into one unit. 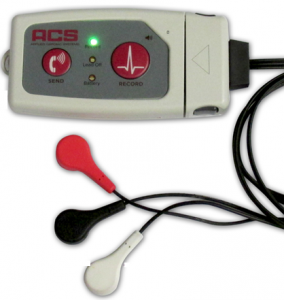 ACS now claims to have a ‘revolutionary’ cardiac monitoring device that can perform 3 billable cardiac tests. The new device called the Performer Plus™ can perform 24-48 hours Holter Study, a 14 day continuous Holter study as well as a cardiac event monitor. ACS maintains that it provides the Cardiologist with a reliable product, sound service with a much great revenue potential to the physician than the traditional service model offered by other service companies.